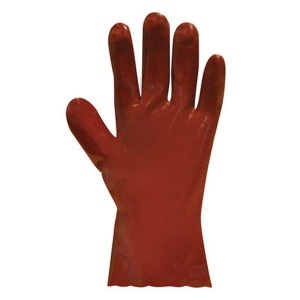 The Polyco Polygen Plus 27 cm Fully Coated PVC Glove is a red PVC chemical resistant glove with cotton interlock knitted liner. 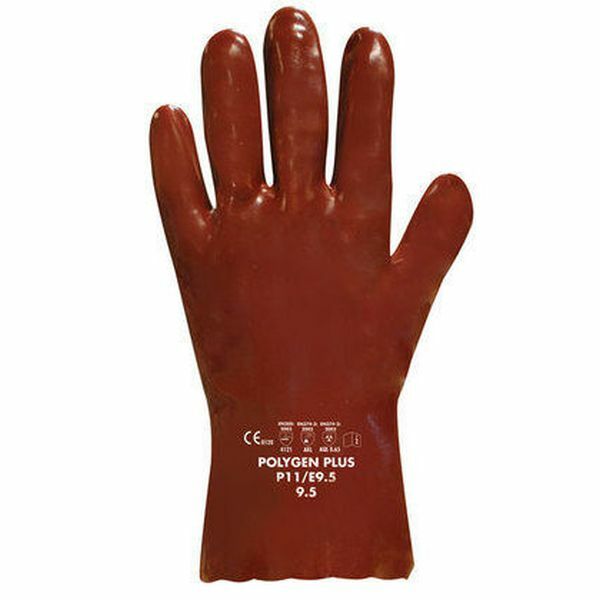 This PVC glove performs well to protect against a variety of chemicals and attains the maximum EN 388 score for abrasion resistance and offers good tear resistance, helping to enhance the glove's mechanical protection and durability. 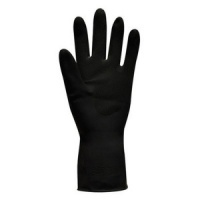 The product code for these gloves is P11. 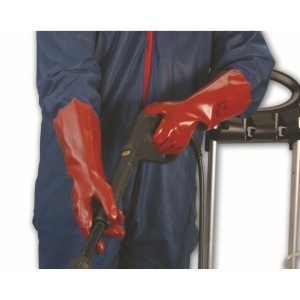 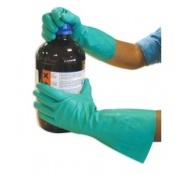 The Polyco Polygen Plus 27 cm Fully Coated PVC Glove provides a high level of dexterity. The Polyco Polygen Plus 27 cm Fully Coated PVC Glove has a cotton interlock lining that eases donning and doffing and absorbs perspiration keeping the hands cool and comfortable.